"Trifles make perfection, perfection is not a trifle"-michelangelo. Every new journey starts with a journey within. 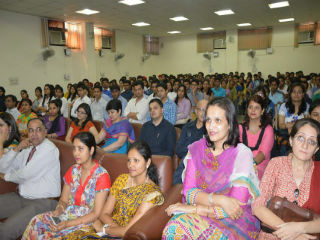 So was it with first day of orientation of JIMS PGDM batch 2015-17, 2nd July 2015 was when many a new budding young face saw a dream together. Laying the foundation stone of an achievement could not be better done then an introduction with the guides Director JIMS Rohini Dr JK Goyal , Dean (InfoTech) Dr VB Aggarwal, Dean PGDM Dr Sumesh Raizada, Dean IB Dr Ashok Bhagat and Dean Examination Dr Joydeep Goswami. 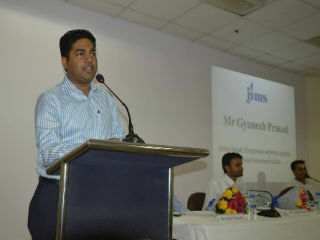 Dr Sumesh Raizada gave a brief introduction to the course rules & regulations. 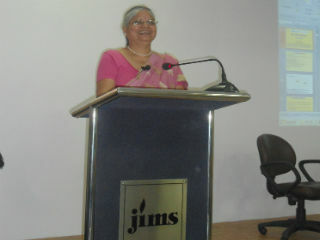 This was followed by welcome address by the Director, Dr JK Goyal & address by other delegates. 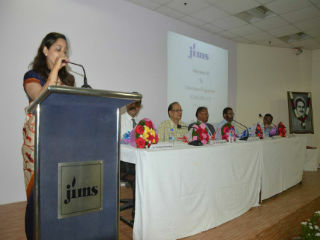 Inauguration session concluded with vote of thanks by Ms Pooja jain Associate Professor. 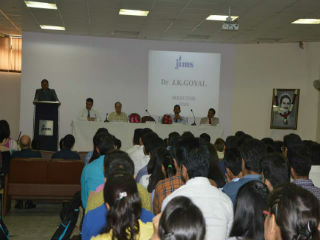 Second part of the day was the mark of another pillar ,"An introduction with the Alumni. Mr. Gyanesh Prasad - Sales Head, Corporate wireless group, Reliance Communication , Mr Yuvraj Shekhavat- Assistant Manager, Learning & Management, Tachouse , Mr Kumud Ranjan- Associate Director, Snapdeal and Mr Mr Nitin Dewan- Head-International Business & Exhibitions AVN Logistics Solutions Pvt Ltd shared their valuable experience and learning from corporate as well as at JIMS. What can be more enticing than follow the footsteps of people before us. Day two 3rd July’15 of the orientation program was conducted by corporate trainer Ms Rashmi Aggarwal , who started the session with a song encrypted with a clear message "If you have the will to try the journey is yours". The session continued with confidence building and high energy talks. Involvement being the main motto during different team building exercises like the famous prisoner's dilemma. Time management rather self-management was introduced with the dream to put the right wind in the new wings. The third & final day 4th July’15 of the orientation, which also was the most fun filled and memorable was the visit to Shri Akshardham Temple. What better a place which starts with a saying "Aap apne khud ke nirmata hai".The day was magical with life stories of great saints, simple teachings of humanity from their lifes. Starting an orientation program with such a trip is unique because somewhere behind this was the intention of not only making us good students but also a disciple to every teaching that life offers. 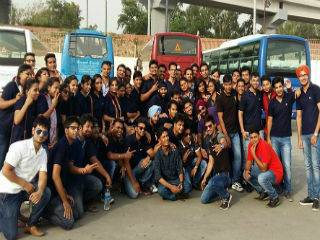 The day also marked interaction with our class mates and friendly seniors.